Successfully Added Spider Theme Phone with Dual SIM + Melody Composer to your Shopping Cart. 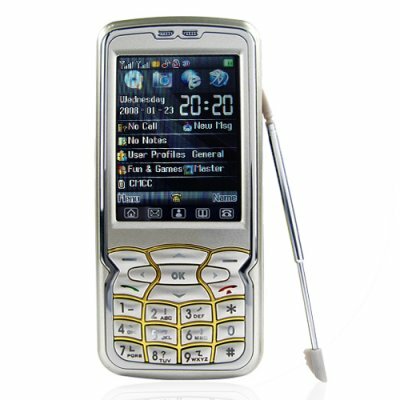 Tri-Band (900MHz, 1800MHz, 1900MHz) cellphone with 1 GB of memory and two SIM card slots. If Spiderman wanted to show off a phone to rival the bat-phone it would certainly be this spider themed weapon. The cool chrome web detailing on the back around the camera and the attractive front panel give you some idea of this phones potential. Dual SIM, organizer, touchscreen and a massive 1GB card are just a taste of the features inside. A truly stand out application is the awesome melody composer, with a full range of instruments plus timing and pitch control you'll be in musical heaven. An attractive phone at an awesome wholesale price available now from Chinavasion. Although this product has dual SIM only one SIM card is active at any one time - Dual-SIM/Single Standby. NOTE: This product is compatible with GSM at 900MHz, 1800MHz, 1900MHz. This mobile phone can be used almost anywhere in the world. Please check with your local service provider if you are unsure of your network frequency. If you wish to make comments or reviews about this product, please use the product review. Feel free to open a support ticket if you have any questions about this product.